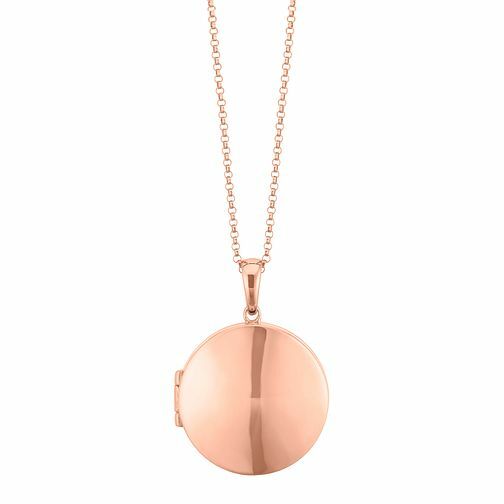 Elegance is exuded with this minimalistic locket pendant. In a gorgeous soft rose gold tone, this rose gold plated silver design hangs on a fine co-ordinating chain. A round pendant opens up to place favourite or sentimental photos to keep positioned close to your heart. An enchanting piece. Colour of inserts may vary.